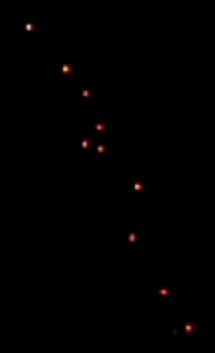 Latest UFO sightings – New UFO video of unexplained activity in the sky over Rio in Brazil. This footage was taken on Saturday, 25th September 2010. “We were looking north and it was very close to the flight path of the Reo air port. There was more but this is all I filmed.It seemed to be stationary in the sky, by that I mean it didn’t seem to be moving across the sky. One of the crew was looking at it with binoculars and commented on the fact that it appeared to go﻿ back up until it diapered out of site I don’t know what it was. It lasted about 20 minutes.